Over the past decade, U.S. refiners have invested heavily in the switch to cleaner fuels, giving them an edge over rivals ahead of the change, set to begin in January. 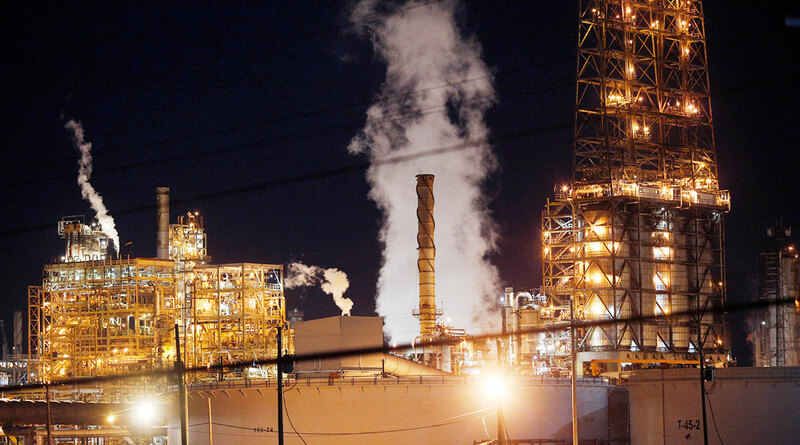 After speculation surfaced last year that Trump might seek to delay the new standards, refiners are aggressively touting their potential to increase U.S. fuel exports. A recently formed lobby group is campaigning to make sure the change, known as IMO 2020, is implemented without delay. Its members include Valero Energy Corp. and BP, and the key message is that the new rules neatly align with Trump’s energy agenda. Trump repeatedly has attacked OPEC on Twitter, calling for the group to lower oil prices. The refiners’ big concern is that energy dominance will take a back seat if the new rules lead to a spike in fuel prices headed into an election year. Trump’s options for lowering prices could include tapping the nation’s emergency crude stockpile or the Northeast Home Heating Oil Reserve. Banning fuel exports is seen as a more remote possibility. “Perhaps most likely of all would be the heating oil reserve — that would address consumer concerns and realistically have an impact,” said Jim Lucier, managing director of Washington-based Capital Alpha Partners. U.S. refining stocks slumped Oct. 19 after reports that Trump would back a phased start to the regulations, an action that’s been rejected by the International Maritime Organization, which is putting the regulations in place. While it is unclear the administration could do anything to change the status quo at this late stage, the White House has yet to give its public stance on the rules. The American Fuel and Petrochemical Manufacturers refining trade group described the stock hit the sector took last year as an overreaction. “I’ve heard markets are being made in terms of futures being sold on compliant fuel, companies are out there testing spec and giving shippers an opportunity to test fuel,” AFPM President Chet Thompson said.